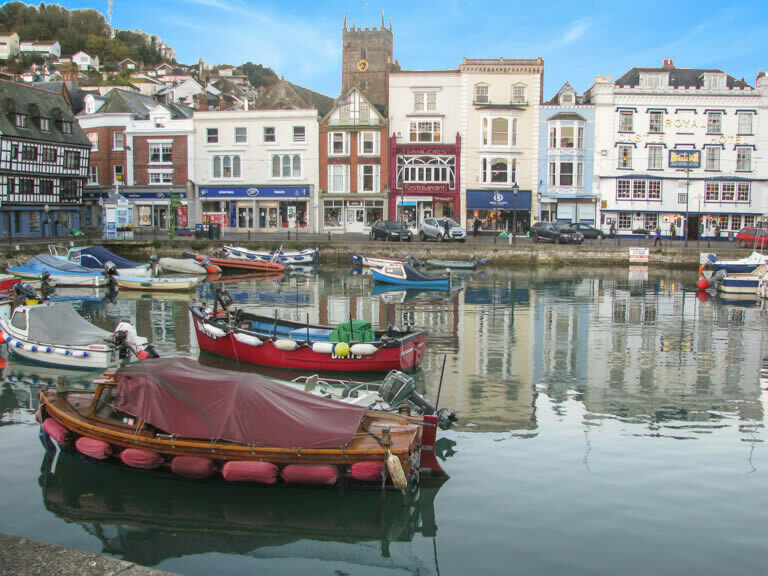 We are a small friendly bed and breakfast in the centre of Dartmouth, right on the waterfront, with stunning views of the River Dart across to Kingswear. The bedrooms are on the ground floor. Each bedroom has a king sized bed with a very comfortable mattress. 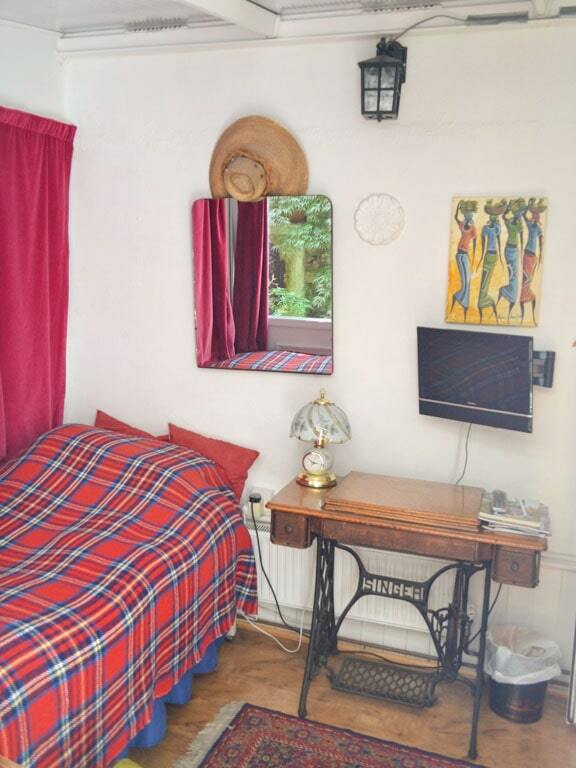 The front bedroom is a cosy en-suite double room, with a king sized bed and walk-in shower. 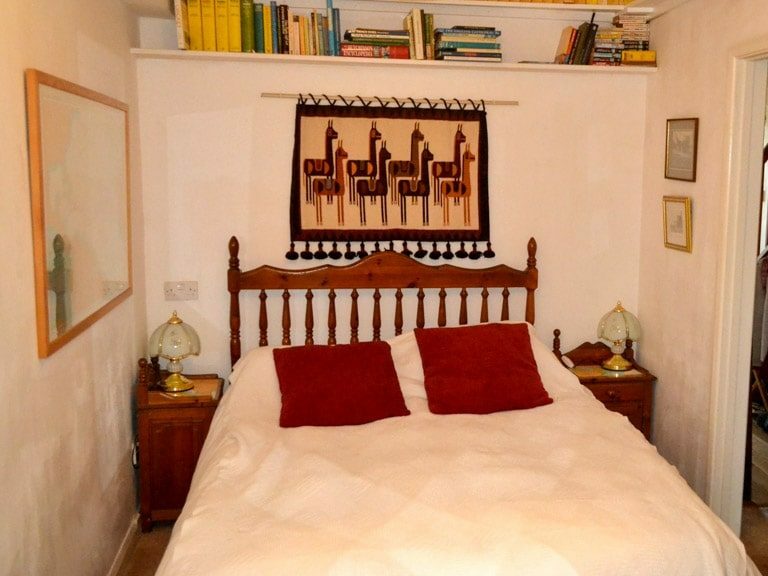 The second bedroom (double/twin/family) has a king sized bed and 2 single beds with en-suite including a bath and a shower, which can be converted into a twin room or family room for 4 people (2 adults and 2 children). There is also a cot with bedding available. The bedrooms are equipped with flat screen TV, fridge, tea and coffee making facilities, hairdryer, cotton towels and central heating when required. Also, Wi-Fi is available for guests to use. We may be able to help with parking on request. Enjoy our wonderful cooked breakfast while taking in the unrivaled Dartmouth riverside and sea views. Breakfast is available from 7:30 until 9:30 (or at other times by special request). There is a choice of breakfast and vegetarians and special diets can be catered for. The historic port of Dartmouth is one of the gems of Devon and indeed the whole country. In the town there is a fascinating collection of historic buildings where ancient narrow streets host a collection of shops, art galleries, pubs, cafes and restaurants. A cobbled marketplace features colourful stalls and a regular farmers market. Dartmouth is an ideal base for sailing, fishing and exploring the River Dart and south west coast by boat or on foot. Take the steam train ride to Paignton for a treat or visit Dartmouth Castle, Britannia Royal Naval College and local National Trust Gardens. 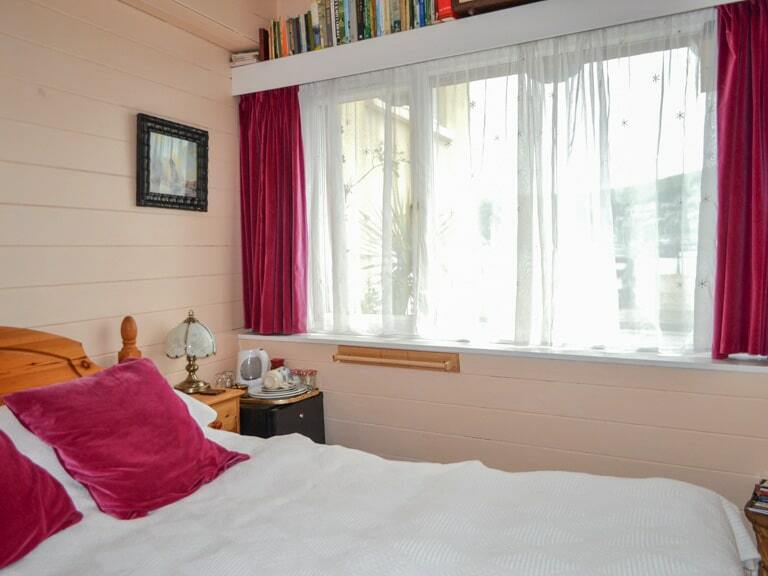 Front room for 2 people including breakfast £75 per night. Either room for 1 person including breakfast £45 per night. A non-refundable deposit of 50% of first night is required on booking. Eight Bells is a no smoking bed and breakfast. Lizzie is a top host. She saved us a parking space right outside, gave us great tips on the locality and provided a tasty breakfast the next morning. Would certainly recommend her place as a base for exploring Dartmouth. 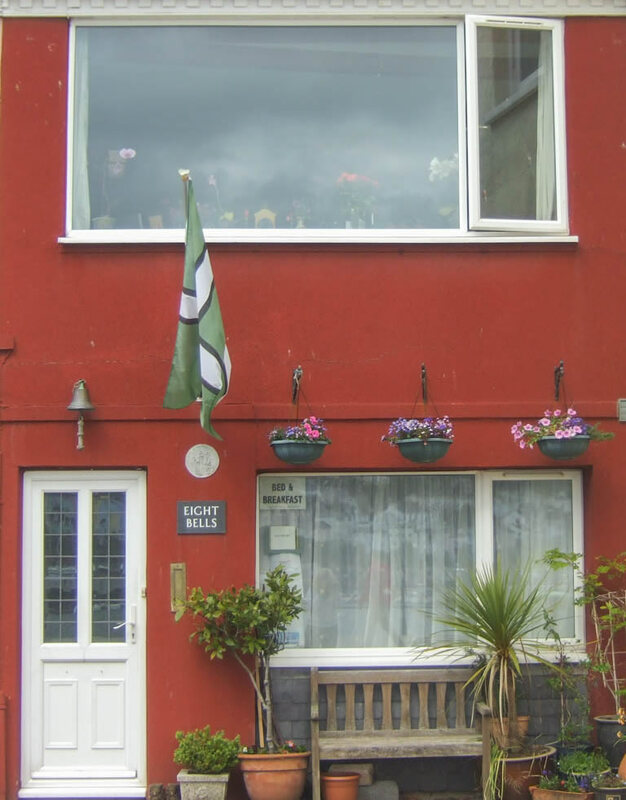 Excellent bnb with perfect location in Dartmouth. Room was very comfortable and breakfast was excellent. Would definitely stay again. A fabulous place with such a lovely view. Breakfast upstairs looking out of the water was amazing. So many choices on breakfast. The room and all the lovely little ammenities one may need and is an amazing location looking right across the harbour. Will definitely stay again when we’re back in Dartmouth. Thanks so much Lizzie for being a great host, excellent communication too!